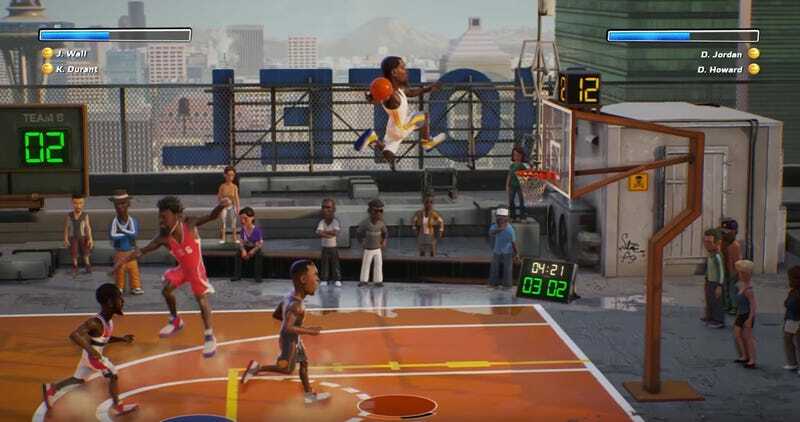 For a fun time, watch this trailer for the upcoming NBA Playgrounds—out in May—and see how close they come to saying “NBA Jam” without actually saying “NBA Jam”. 2v2 arcade basketball, cartoon players, exaggerated moves, it’s all certainly very familiar to NBA Jam fans, as well as anyone who played NBA Street. It’s not a literal copy, of course. 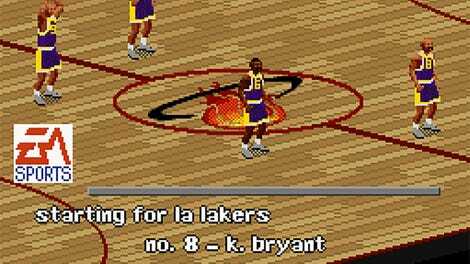 You’re not locked into playing as an NBA team here (you can mix and match players from across the league), and it has a random power-up feature added over the top of it, something I liked a lot from the dearly-departed Madden Arcade. 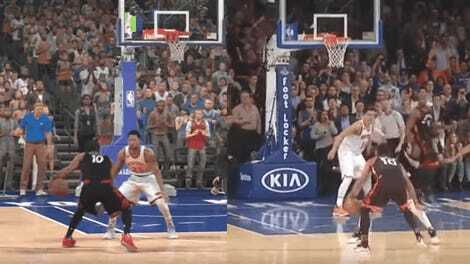 Apart from that, though...yeah, this is NBA Jam 2017, just without the branding. NBA Playgrounds will be out on PS4, Xbox One and, most interesting of all, the Nintendo Switch: if you can snap off the Joy-Cons and play 1v1 on the one console on the go, this might be great.